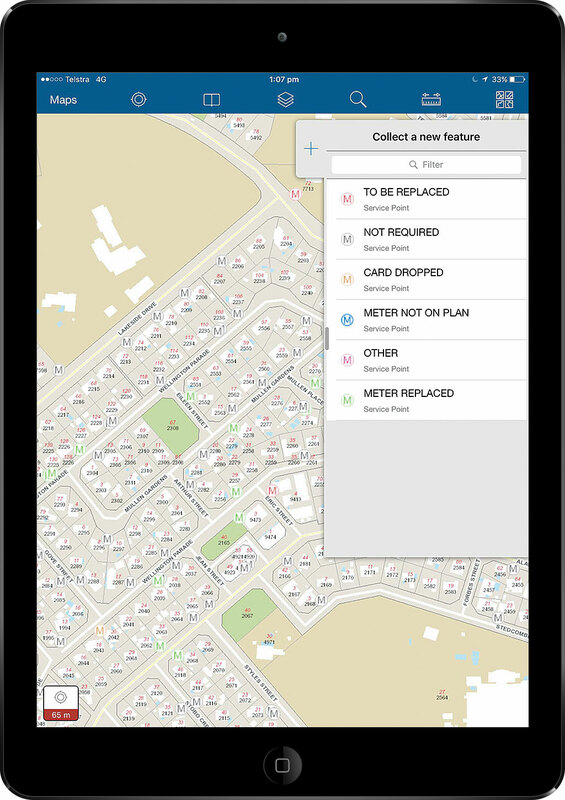 One of Australia's largest water providers used the advanced location-based analytics in ArcGIS to conduct a meter audit far more efficiently and quickly than previous methods it used. Power and Water Corporation is responsible for electricity transmission and distribution and provides water and sewer services across Australia's Northern Territory, an area of more than 1.3 million square kilometers (or 521,000 square miles). With the company's bottom line affected by a network of aging water meters, the utility embarked on a water meter replacement program. The company used an advanced location-based analytics solution and improved the efficiency of processes, particularly in the capture and communication of information. Each day Power and Water Corporation's aging network of meters remained untouched, revenue leaked from the company. Some meters had completely failed and recorded none of the water used. Other meters inaccurately measured usage. In one case, an older meter had been recording usage of $10 per day. When it was replaced, the new meter recorded usage of $85 per day. The company needed to check and—when necessary—replace meters for all its commercial clients. 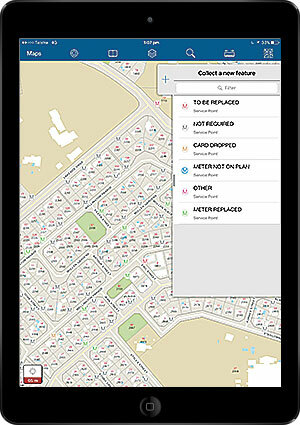 The company chose a commercial off-the-shelf (COTS) solution that leverages Esri's ArcGIS platform. This solution sped up every stage of the project. It provided fast routing to each meter and enabled work in the field to be reviewed remotely as soon as it was completed. The solution was deployed on Apple iPads so staff and contractors could efficiently collect and update information in the field. Before the solution was taken into the field, the system was populated with records for the meters so that a meter's location and other details could be verified on-site and corrected immediately if needed. Once an inspection was completed, the data was uploaded to the operations center so teams in the office could work with it immediately. The project manager, who monitored the project's ongoing status via a map-based dashboard, could identify any issues and act on them immediately. In addition, data on meters can now be instantly accessed, enabling many issues to be resolved from the office rather than sending a contractor to the site. "This has sped the entire project up by 60 to 70 percent, which pleases management and our customers," said Power and Water GIS officer Alex Godfrey. The project also improved Power and Water's data integrity. As a single-point-of-truth, the solution provided a streamlined data collection process that removed the risk of misallocated, lost, or duplicated data. 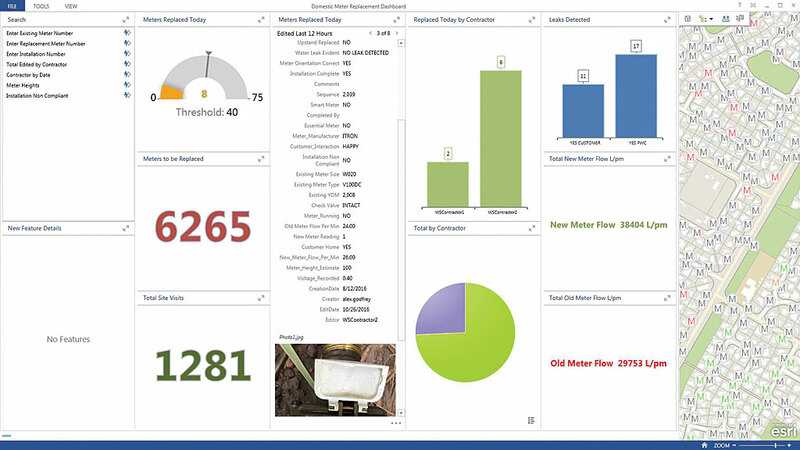 The system's user-friendly interface allowed the project manager and staff to make confident and timely decisions about the rollout, instantly visualize data gaps, and rapidly access and analyze information pertaining to physical infrastructure and environmental assets by simply clicking on a map. Download a full case study on Power and Water Corporation's industry-leading solution.